Human civilization has created and built many amazing structures, and these monumental legacies left by our ancestors fill all man with pride. Unfortunately, only a few of these amazing structures are world-renowned or even recognized. Most have heard of some of the greatest monuments in the world, such as the Parthenon, the Colosseum and the Pyramids of Giza, but this list is an ambitious attempt to highlight some of the lesser known historical structures that many people may not be aware of. Not all of these structures can be dated back to the ancient world, but they are some of the most amazing creations of our ancestors, despite the lack of popularity on a global scale. The main goal of this list is to include ten incredible structures that have never been included in a previous Listverse list and to introduce to the readers new knowledge and information if possible. Bolivia might not be well known for its rich history and treasures, but it is indeed a nation bursting with Inca history. One of the least known, but most astounding Inca sites is Incallajta, just a few hours east of Cochabamba. This fortress community lies at the mouth of a scenic valley. Before the Spanish conquest, the Incas had expanded into the Cochabamba valley because of its rich agricultural potential. They built complex systems of roads and fortresses, and Incallajta was a strategic effort to further Inca expansion toward the Amazon. This fortress was built originally by Inca Tupac Yupanqui around 1465 to repel invaders from the lower tropical regions. This remote fortress has not been well preserved, and has only recently come under the protection of the Bolivian government, through the University of San Simon in Cochabamba. 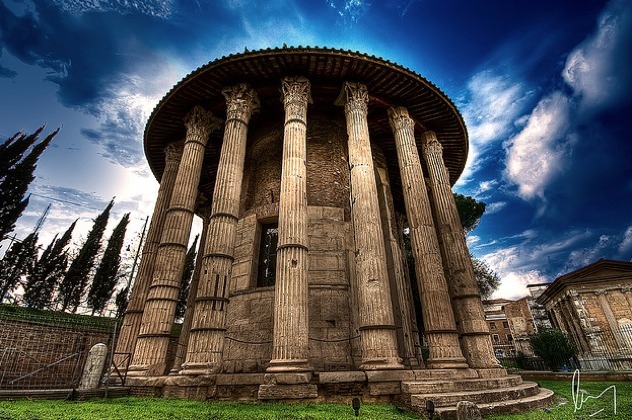 The Temple of Hercules Victor is an ancient edifice in the Forum Boarium in Rome, and it’s a round temple in classic Greek peripteral design. It dates back to the 2nd century and it consists of a cella within a concentric ring of twenty Corinthian columns. The columns supported the ancient architrave (upper section joining the columns) and the roof. Unfortunately, both of these have disappeared, but the cella wall and 19 of the 20 original columns still remain to this day. The specific structure has a very significant historical importance, since it’s the earliest surviving marble building in all Rome. There are no accurate sources so we can’t be absolutely certain who dedicated this temple and what it was called originally, but it is believed to be connected with the legend of Herakles and Cacus, which is the main reason it is known today as the Temple of Hercules Victor. 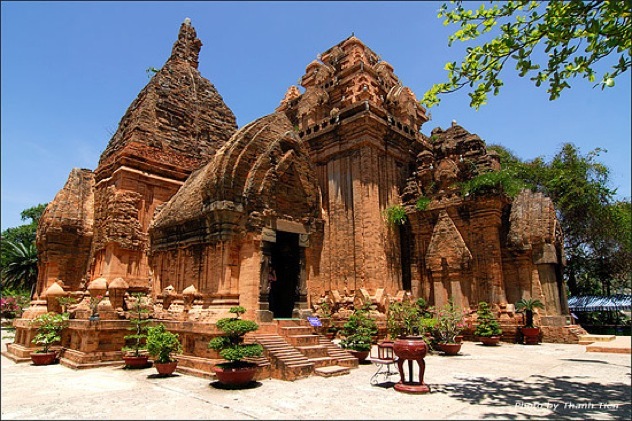 The Temples of Mỹ Sơn, in Vietnam is one of the most amazing groups of ancient structures, but unfortunately it is largely unknown to the masses, especially in the Western world. 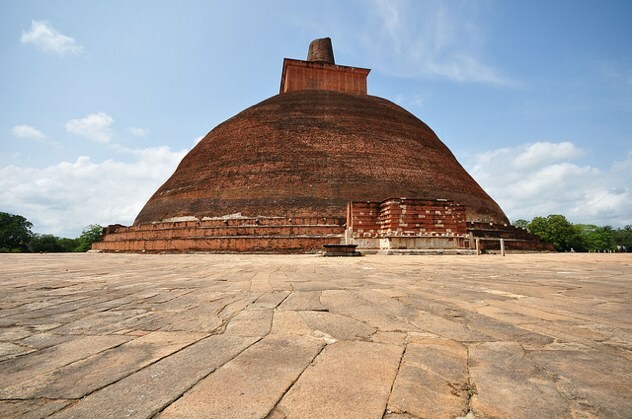 At one time it consisted of more than 70 temples and it’s one of the most important temple complexes of Buddhism. Dating as far back as the 4th century, Mỹ Sơn was an important center of knowledge, spiritualism, and politics for the Champa culture. In a lush green valley in central Vietnam under the imposing glare of Cat’s Tooth Mountain rests one of the most important archaeological sites of the ancient kingdom of Champa, which controlled what is now contemporary Vietnam until the 13th century. In 1937, French scholars began to restore the temples at Mỹ Sơn. Unfortunately many historical buildings were destroyed during the Vietnam War when American aircraft were bombing the region. The surrounding area is to this day highly dangerous for tourists and visitors through the presence of unexploded land mines. The sanctuary of Poseidon at Sounion is one of the most important sanctuaries in the world, yet very few outside Greece know about it. Sporadic, finds point to the conclusion that the site was inhabited in the prehistoric period but there is no evidence of religious practice at such an early date. 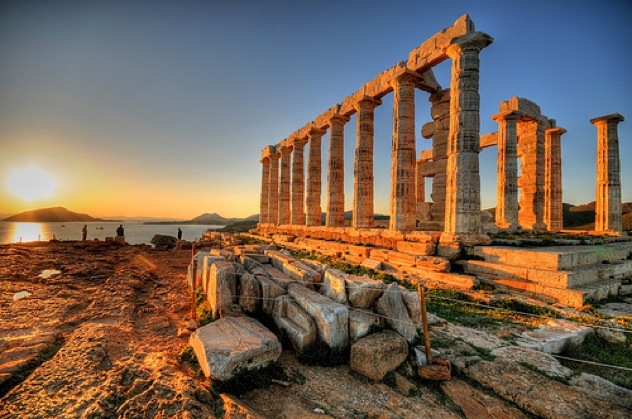 The sanctuary of Sounion is first mentioned in the Odyssey as the place where Menelaos stopped during his return from Troy to bury his helmsman, Phrontes Onetorides. The finds of the 7th century B.C. are numerous and prove the existence of an organized cult on two points of the promontory at the southern edge where the temenos of Poseidon was situated. Today the temple of Poseidon at Sounion is a lesser known cultural spot, but ironically a better known romantic spot for young couples that want to enjoy the amazing view and full moon of August. 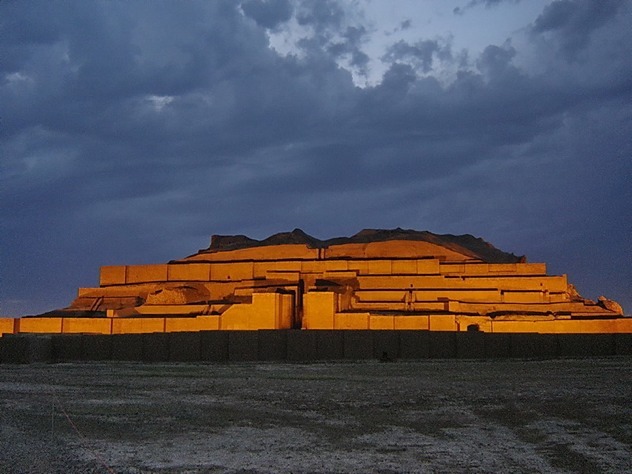 Chogha Zanbil is an enormous ziggurat located in Iran and is one of the most impressive monuments of modern Khuzestan. It was built about 1250 B.C. by King Untash-Napirisha to honor the great god Inshushinak. The site is more than three-thousand years old, and is in remarkably good condition. It is also one of the only ziggurats built outside of Mesopotamia. Ziggurats were not used in the same way as most Western Temples—they weren’t meant for priests to reside or perform rituals in. Instead, a ziggurat was viewed as a resting place for the Gods. By building a ziggurat near a major city, the rulers could ensure that the gods stayed near and protected the people. 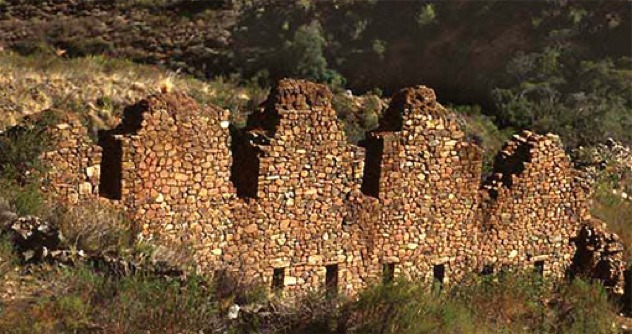 In 1979, Chogha Zanbil became the first Iranian site ever (at that time) to be inscribed on the UNESCO World Heritage List. 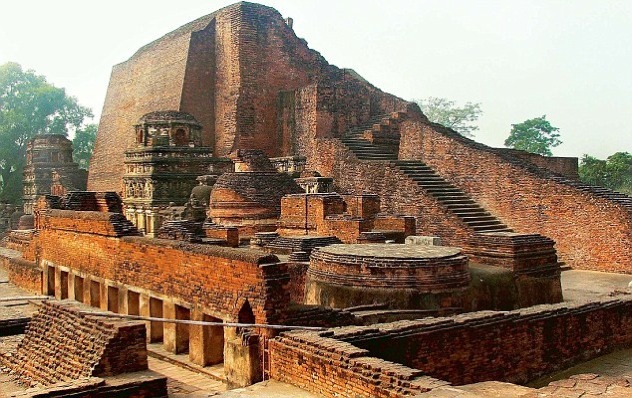 Nalanda was a Buddhist university established in A.D. 450, and was the longest running university in Indian history. Among its many notable guests were Buddha and Mahavira, and at its zenith it accommodated over 10,000 students and over 2,000 faculties. This place saw the rise and fall of many empires and emperors who contributed to the development of the University. However, it was destroyed by Turkish Muslim invaders in 1193, when the students and teachers were massacred and the massive university library was burnt down. Nowadays, all that remains are extensive ruins that are spread over an area of 14 hectares, reminding the visitors of the greatness of a glorious past. 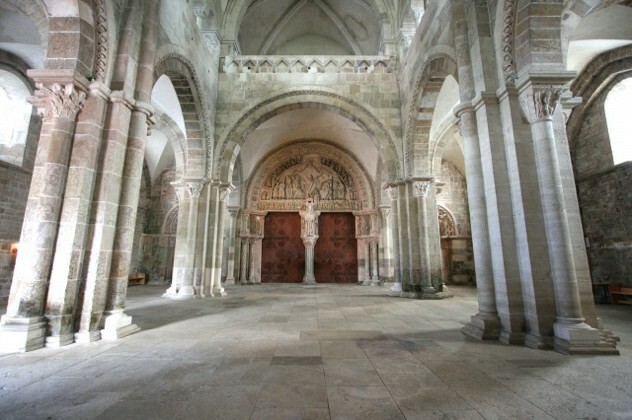 The Benedictine abbey church of Sainte-Marie-Madeleine at Vézelay in Burgundy is one of the most important surviving monuments of architecture and sculpture of the Romanesque period. It was a pilgrimage church, allegedly holding the relics of St. Mary Magdalen to whom it is dedicated. The early twelfth-century building is notable for its groin-vaulted nave and narthex, and for its remarkable sculpture on portals and capitals. The choir dates from the end of the twelfth century and is an important witness to the adoption of the Gothic style in Burgundy. The sculpture on the outer facade was largely destroyed during the French Revolution, but fragments of it still survive in the cloister. 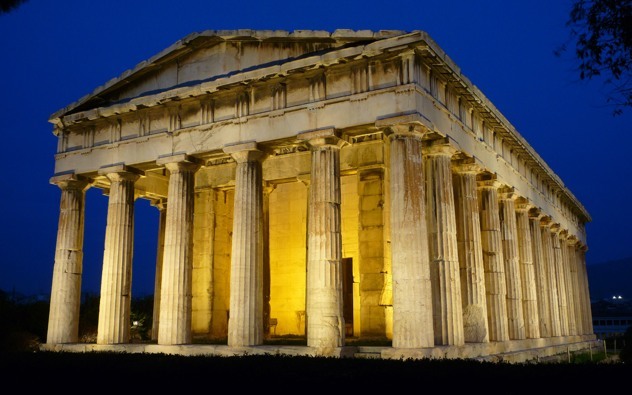 The Temple of Hephaestus was built in 450 B.C. and was dedicated to the god of fire, Hephaestos. The temple is located in Thission, one of the most touristic and trendy areas of Athens today, which attracts over 10 million visitors a year. Theseion is described by UNESCO as one of the best preserved ancient temples in the world, which really makes you wonder how it still remains widely unknown outside Greece, mainly because of the lack of promotion and motivation from the Greek authorities. Made from marble, the temple stands tall and grandiose. It was built on the top of a small hill with 34 columns and the Doric style temple is a must-see monument when you are touring around the Ancient Agora of Athens. This area was the hub of commercial, political and social activity during the Golden Century of Pericles, creating a meeting place for the Ancient Athenian citizens. The amazing thing that makes Meteora so special is the monasteries on the top of the rock towers. In a region of almost inaccessible sandstone peaks, the area of Meteora was originally settled by monks who lived in caves within the rocks during the 11th Century. It is (fairly so) considered a unique achievement of magnificent architecture and human creativity; on the one hand the wonder of nature with huge inaccessible cliffs and on the other hand the miracle of the man who managed to tame nature and build in such impossible-to-reach places. The buildings of the monasteries began in the 14th century and up to the 16th century there were 24 monasteries operating. The monasteries were not only religious centers but academic and artistic as well; they attracted not only the deeply religious, but philosophers, poets, painters and the deep thinkers of Greece during the Byzantine Empire’s reign. During the Ottoman occupation, it was the monasteries that kept alive Greek culture and traditions in the area. It is believed that if it was not for the monasteries, Hellenic culture and religion would have disappeared and modern Greece would be just a reflection of the Ottoman Empire, with very little knowledge of its roots and history. Today only six of the monasteries are active. 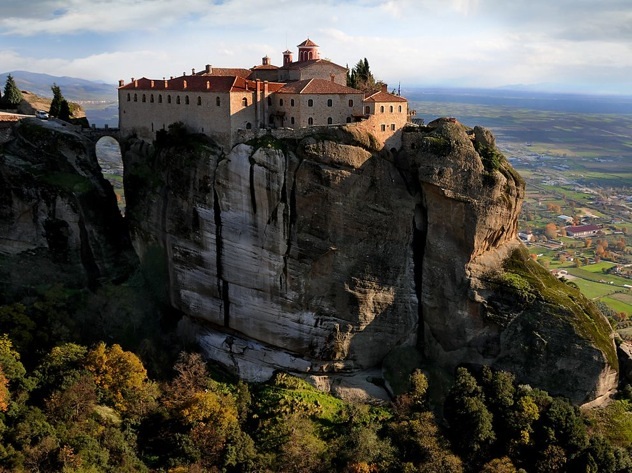 UNESCO has characterized the Holy Meteora as “a unique monument of humanity that has to be maintained with at cost . . . a monument that doesn’t belong to Greece only, but also to the entire world”. Theodoros II is a collector of experiences and a law graduate. He loves History, Sci-Fi culture, European politics, and exploring the worlds of hidden knowledge. His two biggest passions are writing and music. His ideal trip in an alternative world would be to the lost city of Atlantis. You can email him here.